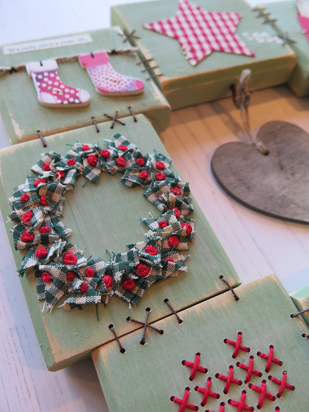 Spend a festive day of hand stitching with a difference creating a hand stitched patchwork wooden wreath. 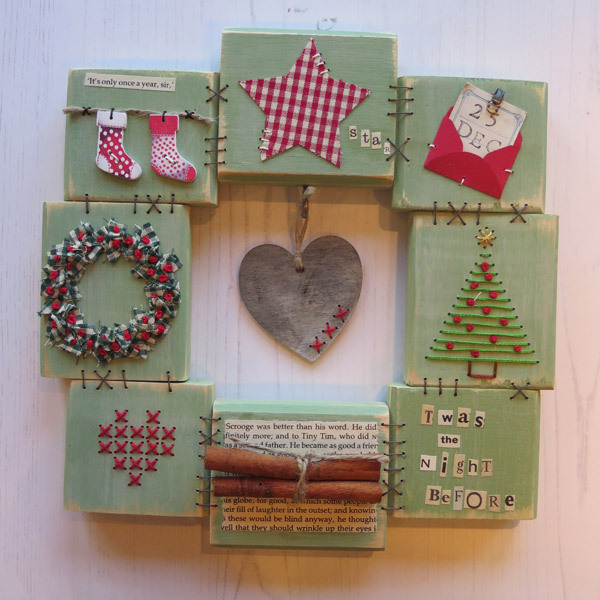 Your wreath will be made from wooden patches with a ‘vintage Christmas’ or ‘sewing box’ theme. You will leave at the end of the day with a gorgeous, personal wall decoration that can be brought out and enjoyed year after year. 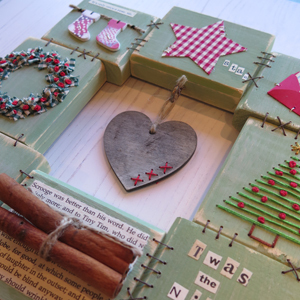 Starting with a pile of cut wooden ‘patches’ you will sand, paint and prepare your wood which will then be embellished with vintage papers, fabrics and other small treasures – all hand stitched into place. Before you begin to stitch, tiny holes must be drilled into the wood. By the end of the day you will feel as at home using the drill as you do your needle and thread. I will bring along a gorgeous selection of ‘treasures’ from my studio. 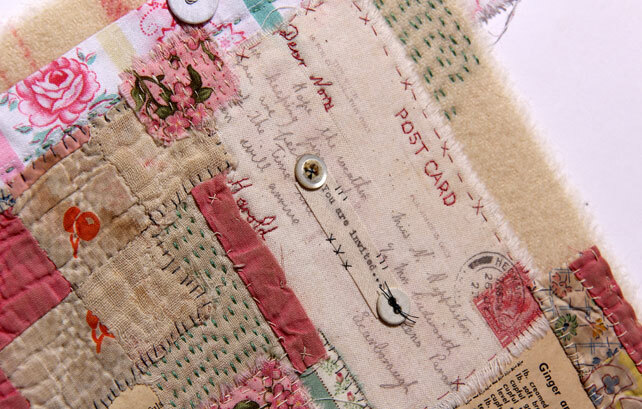 I’ll raid my sewing box for snippets of old & used fabrics, lace and some lovely bits of vintage haberdashery. 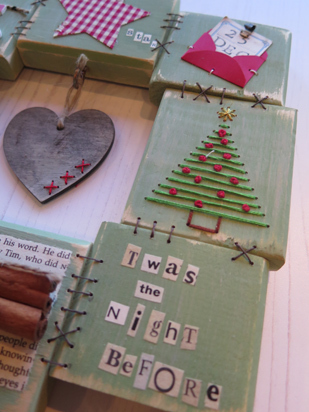 I’ll also bring Christmas bits – pinecones, cinnamon sticks, vintage Christmas stamps & books. 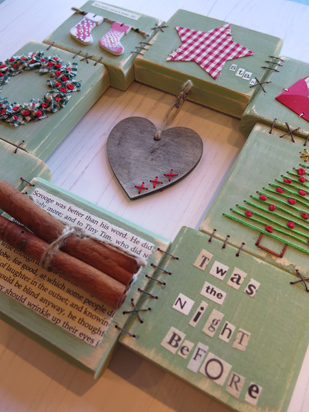 I’ll show you different ways to add words from Christmas Carols or stories or even a little personal message. 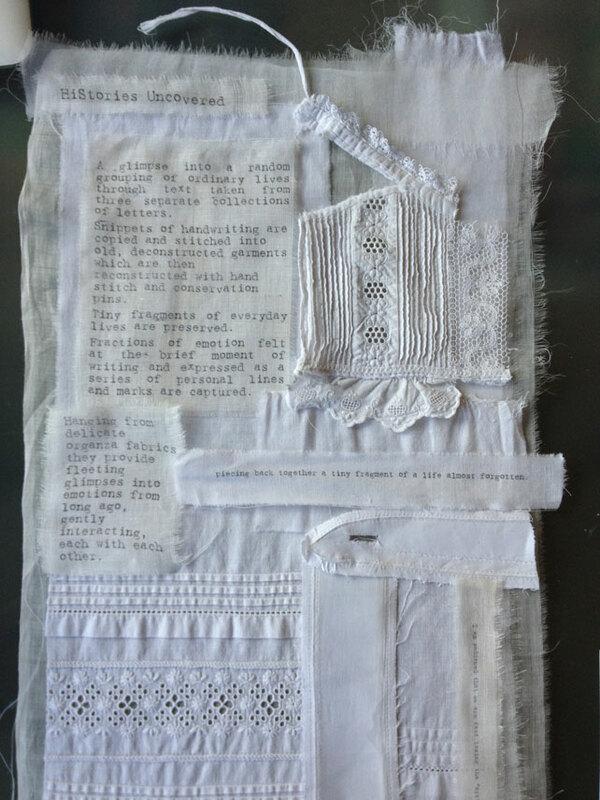 This workshop is a perfect if you have already done one of my other Patchwood workshops but also suitable for absolute beginners – don’t worry you’ll be shown everything you need to know!